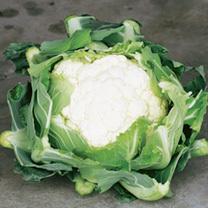 More difficult to grow than a cabbage but most people would agree that cauliflower plants are worth the extra work. 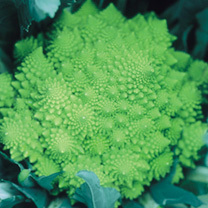 Grown as an annual most cauliflower plants have a single stalk supporting a solid head of compacted edible flower buds. 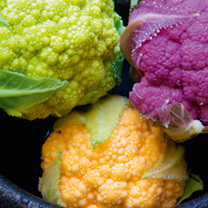 The colour of these heads depends on the variety of cauliflower plant and can be snowy white, cream, green or even purple. 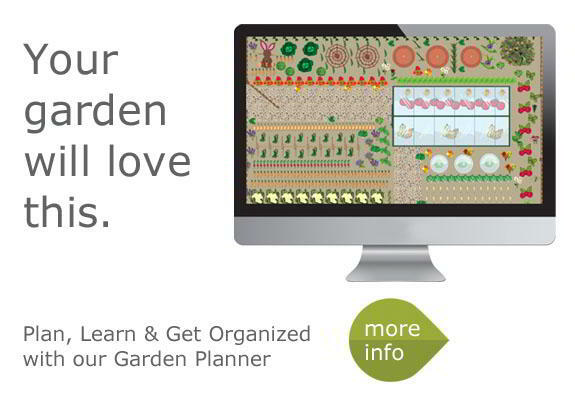 Where to grow? 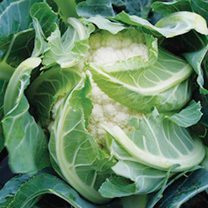 - Cauliflower plants need very fertile soil and will take more manure and fertilisers than other brassicas. 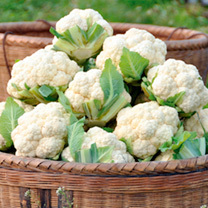 With a large root system cauliflower plants need rich, deep soil, plenty of space and frequent feeding. How to look after? - As the cauliflower plants mature the soil needs to be kept moist but don’t water the actual head as this will cause damage. In heavy rain the head will need some protection. Breaking off a leaf and using it to cover the head is also a good idea in extreme heat or cold. When to harvest? 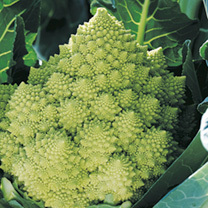 - Harvest when the heads are looking at their best and before the florets begin to separate. How to eat? 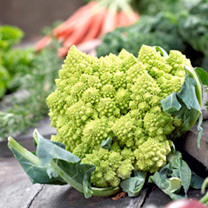 - Cauliflower cheese may be very nice but there really is more than can be done with this wonderful vegetable. 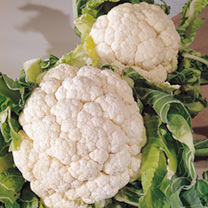 Cauliflower can be used for soup, soufflés, baked in a white sauce, eaten cold with a dip as a crudités or turned into a pickle. As a simple side dish boil the separated sprigs for a few minutes and then dress with melted butter and black pepper. However you choose to cook cauliflower please don’t overcook it!